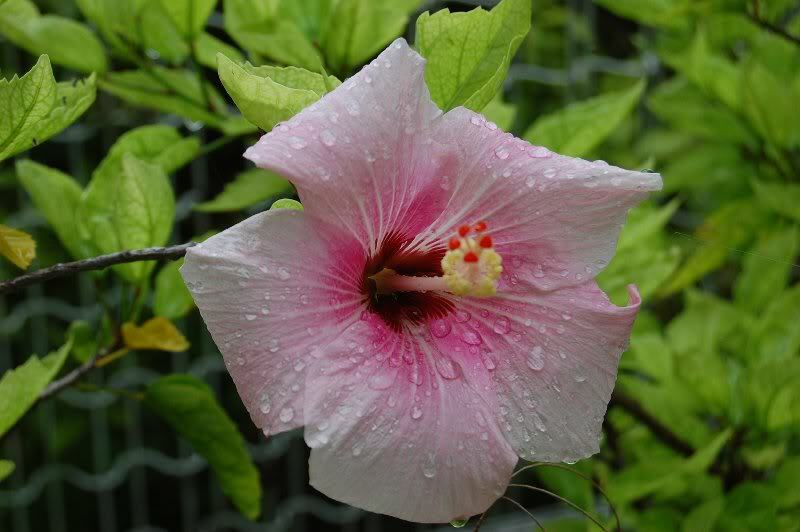 Is a typical tropical flowers and trees in the Malvaceae of evergreen broad-leaved shrub. Native is also the national flower of Malaysia is the state flower of Hawaii in eastern India, the South Pacific Islands. The village road Aharen line of Tokashiki, we appeal to the island of the south have colorful hibiscus planted. Of the type also equal to or greater than 2 meters hibiscus (that Akabana in Tokashiki Island) is also planted as a windbreak of agricultural crops, it can be in the eye even in the fields and rice paddies. In the past, it seems to have been taking things that were infused with dried flowers and roots as a cold medicine. In recent years, we are used to, such as coloring agents to extract the dye or to tea this Akabana dried. Aharen elementary school gymnasium next to the hibiscus, bloom a lot of red and pink flowers in the summer, it has become a point of commemorative photograph of tourists.